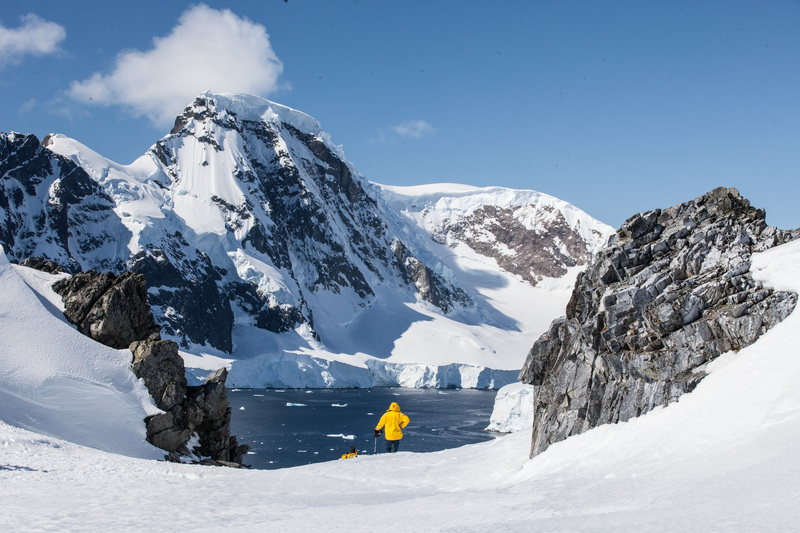 When you travel to Antarctica with Quark Expeditions, you’ll do a lot more than look at scenery. Zodiac rides, kayaking, shore visits, wildlife, historic sites, fine dining and friendship are among the highlights. But, did you know that education plays an important role in every Quark expedition? Quark’s Scientists in Residence program is a lifelong learner’s dream. Launched in 2012, the program invites scientists and researchers to travel with Quark passengers to share knowledge and information, collect samples, conduct research and gather data in destinations that might otherwise be inaccessible. The scientists and researchers involved in this wonderful educational program are among the industry’s most passionate experts, and are more than willing to share what they know in our formal lecture series, or on a more informal basis during shore visits, such as those by penguinologist Dr. Tom Hart. Quark has released a series of immersive 360° VR videos, including some of the amazing shore talks given by Dr. Hart, who runs the Penguin Lifelines project at Oxford University and the Zoological Society of London. During a visit to Neko Harbour, Antarctica, Dr. Hart talks about the feeding habits of gentoo penguins, which have developed a unique strategy to ensure the survival of at least one of their young. As Dr. Hart describes the “food chase”, viewers can witness a 360° view of the penguin colony. Desktop computer users can use their mouse to explore the video, while those on a tablet or mobile phone can swipe or rotate their device to explore the panoramic footage. Historian Damien Sanders has a résumé that includes diving, expedition work, teaching and marine archaeology. Northwest of the Antarctic Peninsula in the South Shetland Islands lies Deception Island, which has one of the safest harbors in Antarctica, making it perfect for scientific and military uses, as well as whaling operations. Scan the horizon in our 360° exploration as Damien describes the history of whaling in the region, and see blubber ovens, whale oil storage tanks, and housing left behind a century ago. Other structures visible throughout his talk include a former air base, and a British scientific station, which was destroyed by volcanic activity in 1969. Geologist and glaciologist Colin Souness is another expert you might run into on your Quark expedition. An experienced sailor and avid climber, he brings his expertise to the west Antarctic ice sheet in this immersive 360° video. Shot at one of the fastest moving glaciers in Antarctica in the milder climate of Neko Harbour, Souness describes the precipitous cliffs and precarious pillars of the glacier, which moves at a rate of 50 cm (16 inches) per day, making for a spectacular experience, as ice calves from the glacier several times a day. Regardless of your interests, you’ll find something to amaze and delight you on your Antarctic expedition! Join ornithologist Fabrice Genevois as he discusses fur seals on Half Moon Island; see rare snow petrel chicks at Brown Bluff; or listen in as palaeoecologist Dr. Sandra Nogué Busch explains what a plant scientist finds interesting about Antarctica. Our experts are the perfect resource for curious travelers and lifelong learners. Meet and learn from the experts in our 360° VR video playlist! Or, start planning your polar holiday today by contacting one of our experienced Polar Travel Advisers.